These Hot Springs readers are hot, hot, hot. Often times, readers of WinkWorld will share with me privately and not in our comment section. No worries, I’ll try to share the good stuff here, so you will not miss out on any treasures. Such is the case of these readers from Hot Springs. 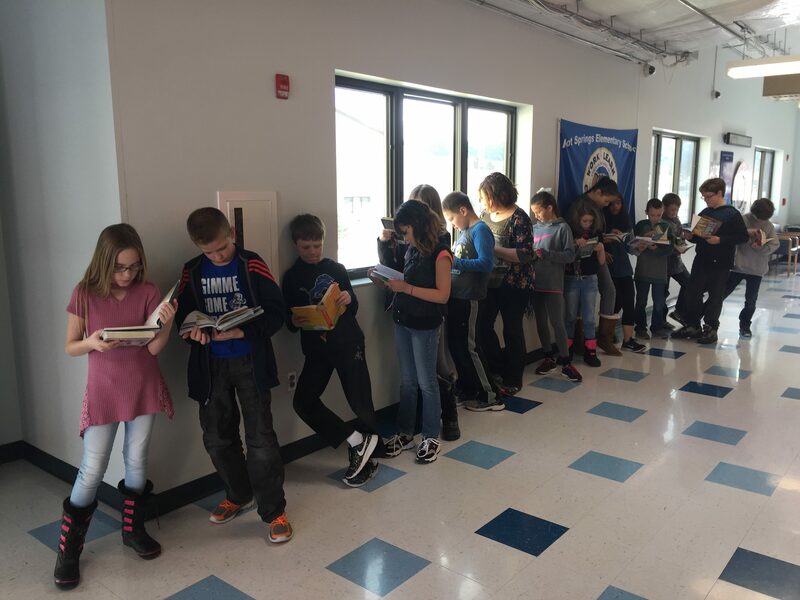 This photo was not staged to please us, rather their teacher walked out of her classroom to meet her students who were returning from their time in their school library. This is what she found in the hallway. She quickly snapped this photo before the students even looked up from reading. Thank you, Koreen Hammel. This photo tells us so much about you, the students, your school library, and your school. Thanks for this, Joan. Their faces are buried . . . in actual books! Hooray!